• Their representatives met in Riga on 22 September on the occasion of JA Europe’s event ‘Celebrating Entrepreneurship Education in Europe’ including the TES Awards ceremony to present their entrepreneurial achievements and receive the European Award. 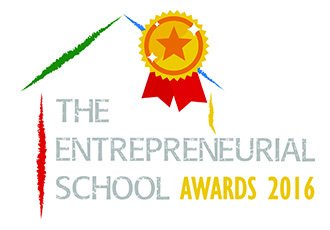 [Riga, 23 September 2016] For the second edition of The Entrepreneurial School Awards, 17 entrepreneurial schools across Europe have been selected at national level for their entrepreneurial vision and outstanding implementation of entrepreneurship education programmes. The selection criteria include the schools’ strategy for entrepreneurship education, specific resource allocations, teachers’ training and the engagement of the local community and business sector. The celebration took place on 22 September in Riga, in the presence of several representatives from education ministries. Teachers and headmasters from the 17 schools in Belgium, Czech Republic, Denmark, Estonia, Finland, Germany, Italy, Latvia, Lithuania, Malta, Portugal, Romania, Russia, Slovakia, Spain, Turkey and the United Kingdom were present to receive the recognition. While the labour market requires more and more innovative and entrepreneurial skills, less than 20% of students have had an entrepreneurship experience by the time they finish school. Delivering the right skillset for tomorrow's jobs requires a stronger focus on teacher training and entrepreneurial teaching methods. “The support and participation from so many national ministries of education is a big step forward. This is what the European Parliament has been calling for in order to foster an entrepreneurial culture among young people; it is also exactly the kind of encouragement that the business community and other stakeholders need in order to continue to expand their work with schools,” said Caroline Jenner, CEO of JA Europe. By recognising schools’ entrepreneurial endeavours, The Entrepreneurial School Awards contribute to the objectives of the New Skills Agenda for Europe launched in June 2016, focusing notably on quality education, teachers’ training and entrepreneurial skills. "We are delighted to support this initiative which recognises the benefits of working collaboratively: enabling pupils to learn with each other in new ways, supporting teachers to share and develop their practice across disciplines, and encouraging schools to be innovative in their partnership-working," confirmed Sophie Beernaerts, Head of Unit "Schools and Educators; multilingualism” at the European Commission. JA Europe led the consortium behind The Entrepreneurial School (TES), an EU project which over the last 3 years has also produced Europe’s first Virtual Guide to Entrepreneurial Learning targeting teachers. While the EU project has ended, JA Europe continues to provide training and assistance to entrepreneurial teachers across Europe.